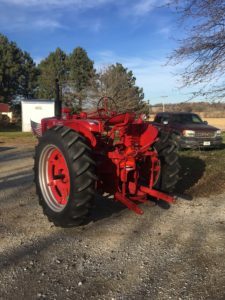 My name is Michael Hollst, these are pictures of my dad, Gilbert Hollst’s, 1950 Farmall M that he bought new. The tractor was sold to our cousin, Wes Zaugg in 1974 at our farm sale after my dad got sick and we had to quit farming. My two brothers, two cousins and I still own the original farm outside of Yutan, Nebraska that our great Grandfather bought in 1874 from the original RR homesteader. 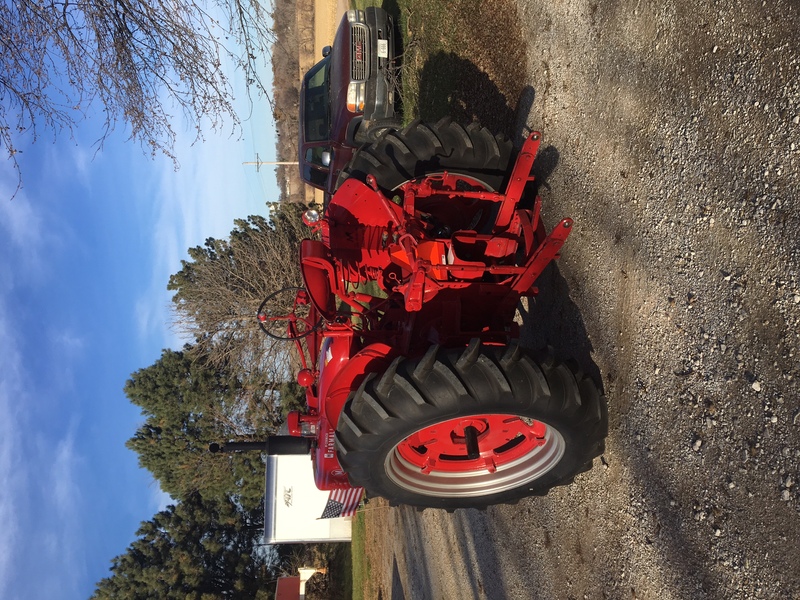 My cousin Wes restored my Dad’s old Farmall M to better then new condition, added power steering, an Oliver 3 point, fenders with a 2 way hyd system. He then replaced the tires and anything else it needed. He then straightened all the tin work and painted the tractor International red in Imron paint. Wes then sold the tractor back to my brothers and I ( at a very low price ) so that it could in his own words “go back home where it belongs”. 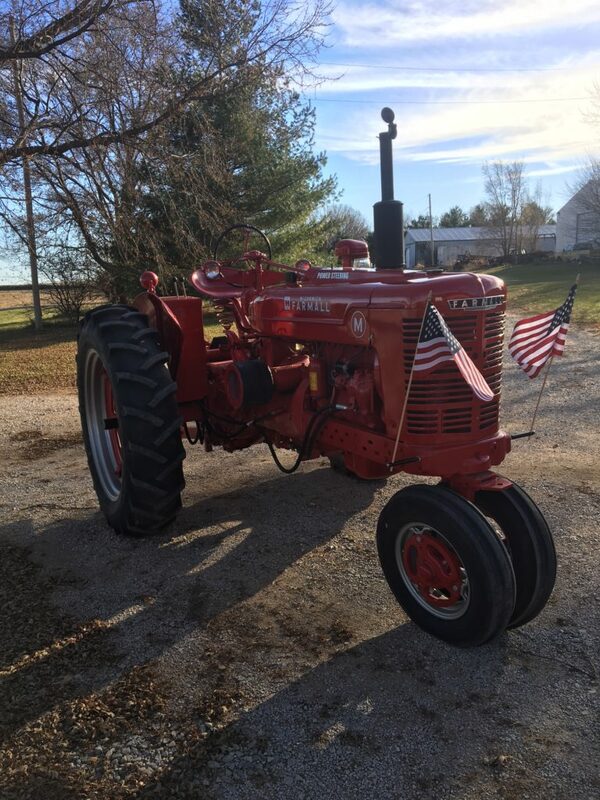 I will always be grateful to my cousin for his hard work & kindness for selling us our dad’s tractor back, it will be a treasured heirloom in our family. 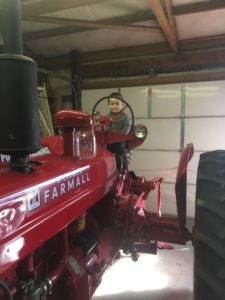 The picture of the small boy on the Farmall M is my 3 year old nephew, Lane sitting on his favorite tractor, which is now his according to him. 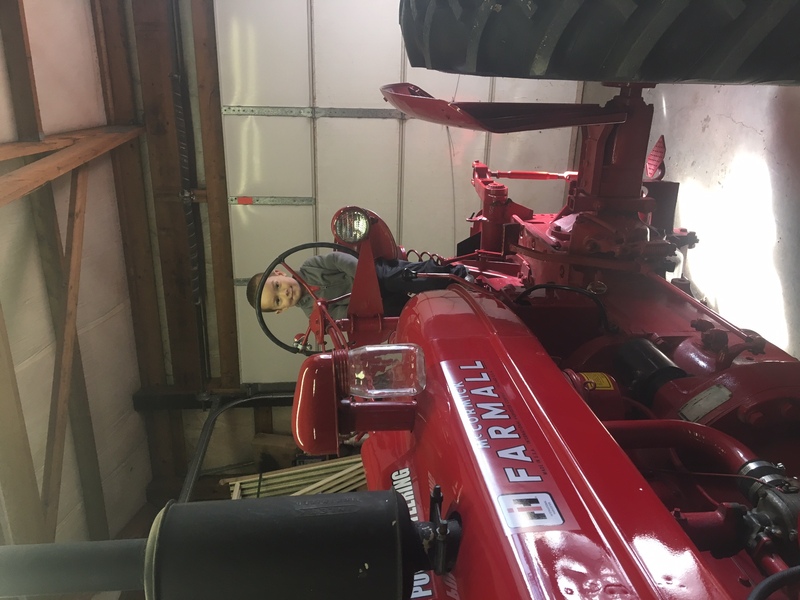 Which makes him the 4th generation to drive our Dad, Gilbert’s tractor. 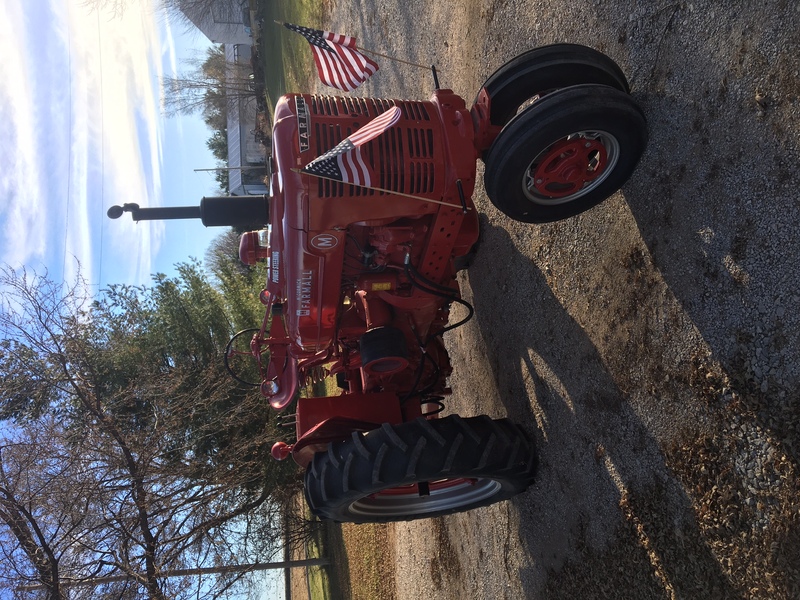 Read about more International / Farmall stories here.